Joanne Bland has been a witness and participant in some of our nation’s most consequential civil rights battles. 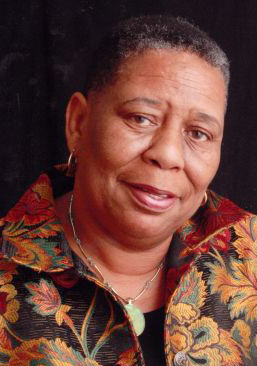 She began her civil rights activism in the early 60s. The Student Non-Violent Coordinating Committee (SNCC) activists organized Bland and other area children and teenagers to participate in the civil rights movement. Joseph Anthony Califano, Jr. was a former United States Secretary of Health, Education, and Welfare and the founder and former chairman of The National Center on Addiction and Substance Abuse at Columbia University. He is one of two living former Secretaries of Health, Education, and Welfare. Monique Corzilius was raised in Pine Beach, New Jersey when her parents noticed an article in the local newspaper on child modeling. This inspired them to look into the career possibilities for their photogenic daughter.Monique starred as “The Daisy Girl” in the 1964 controversial political advertisement aired on television during the United States presidential election by incumbent president Lyndon B. Johnson. Sid Davis is a former journalist and White House correspondent for Westinghouse, he was in the press bus close behind President Kennedy’s limousine on November 22, 1963 and a pool reporter aboard Air Force One for the swearing in of President Johnson. Victor (Vic) Gold is an American journalist, author, and Republican political consultant. His career as a political consultant spanned the period from the 1964 Presidential candidacy of Barry Goldwater through George H. W. Bush's 1992 re-election campaign, and he also co-wrote Bush's 1987 autobiography. Barry Morris Goldwater Jr. is a former Republican member of the United States House of Representatives from California (1969–1983). He is the son of Arizona Senator Barry Goldwater, the Republican nominee who ran against Lyndon B. Johnson for President of the United States during the 1964 Presidential election. Doris Kearns Goodwin is a world-renowned presidential historian and Pulitzer Prize-winning author. She is the author of six critically acclaimed and New York Times bestselling books, including her most recent, The Bully Pulpit: Theodore Roosevelt, William Howard Taft, and the Golden Age of Journalism. Richard Naradof Goodwin is an American writer who may be best known as an advisor and speechwriter to Presidents Kennedy and Johnson and also to Senator Robert F. Kennedy. 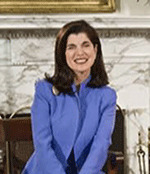 Luci Baines Johnson was born in Washington, District of Columbia, USA. She has been married to Ian J. Turpin since March 3, 1984. She was previously married to Patrick John Nugent. She is chairman of the board of LBJ Asset Management Partners and vice president of BusinesSuites, which both she and Ian own. Robert Townley Mann, Jr., also known as Bob Mann is a journalist and primarily political historian who holds the Douglas Manship Chair of Journalism at Louisiana State University in Baton Rouge, Louisiana. He also pens a weekly political column for The New Orleans Times-Picayune. Lynda Bird Johnson Robb is the elder of the two daughters of former United States President Lyndon Baines Johnson and former First Lady Lady Bird Johnson. She served as First Lady of Virginia (1982-86) and, before that, as Second Lady of Virginia (1978-82). She is the oldest living child of a U.S. President following the death of John Eisenhower on December 21, 2013. 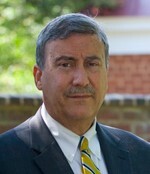 For questions or additional information please contact Glenn Crossman at cfp-programs@virginia.edu or 434-243-3540.